Melody is always evaluating new methods to get better results. Taking a large volume of content and distilling it down to the critical takeaways is a skill honed through many years of transferring knowledge to others. Analyzing the process and looking for a simplified design and delivery mechanism – whether it’s a work instruction or how best to on-board new associates. I'd like learn more about Melody. “Always pass on what you have learned.” Jessica may have learned the adage from Yoda, but she applies it throughout her life. Moving learners forward by designing interactive content that allows exploration and practice. Working closely with stakeholders so that they are heard and understood. Constantly assessing how to improve the plan for getting a team to goal most effectively and efficiently. I'd like learn more about Jessica. In our various roles within the pharma industry over the last decade, we’ve observed a need for structured, strategic, and well-designed training programs for Medical Affairs. Tired of workshop facilitators referring to the participants as ‘reps?’ We are too! We recognize there is an unmet need for a company focused solely on training for Medical Affairs, especially now, as organizations are expanding the size and scope of this critical group. 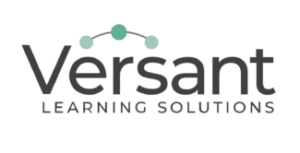 Thus, we took the entrepreneurial leap and have created a company – Versant Learning Solutions – to meet that need. Having worked in the Medical Affairs trenches, we understand your needs, your budgets, and how quickly your priorities can shift. Our ultimate goal is to make a positive impact on the standards and practices of the Medical Affairs profession, and within your organization specifically. Reading walls of bullets on PowerPoint slide is not fun. Clicking the ‘Next’ button every 30 seconds is not productive. We leverage that expertise while also identifying and eliminating knowledge gaps. As importantly, we provide a safe place to practice applying the new learning appropriately.